Kathryn McGaughey's account of the Paradox Valley and its surrounding area includes much of the history and lore of this unique place and its river that defies the geologic norm by running across and not along the valley floor. Her story is one that spans from Native American inhabitants, exploration and pioneers to early twentieth-century "plain folk" and how they coped with a harsh lifestyle, murderous villains, overbearing land holders, cattle rustlers and more. 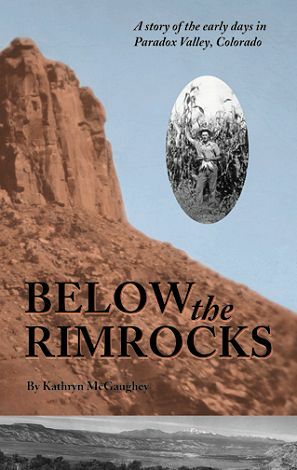 This is a fascinating tale of "life below the rimrocks."